A key element to any successful experiment is proper planning. At Gray Matter Research, we want the end user to have as much control over this process as possible. That is why we have integrated the 3D Slicer software package into our design work flow. 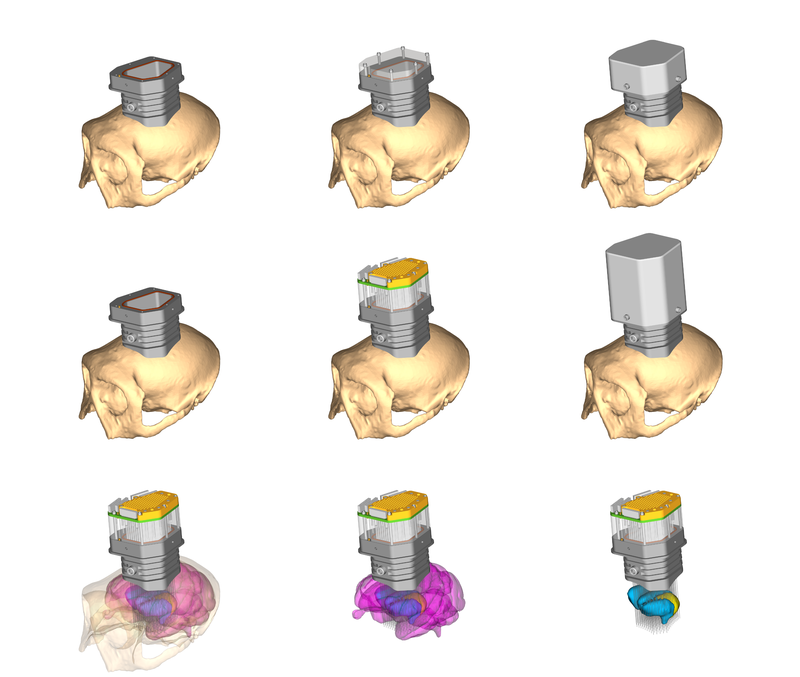 3D Slicer is a “free and open source software package for visualization and medical image computing” (www.slicer.org). We have started a YouTube channel with some 3D Slicer tutorial videos and will be adding more tutorials in the future. Please let us know if we can help. 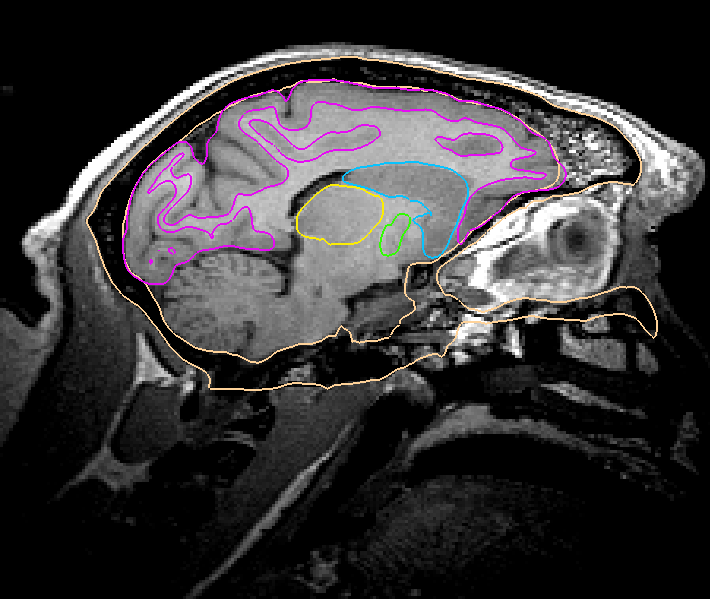 We start the design process with an MRI. 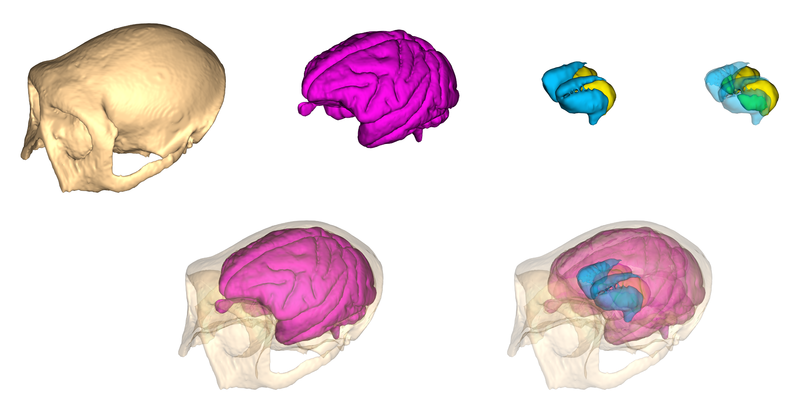 After aligning to stereotaxic space, the skull and brain regions are segmented and modeled. Completed 3D models of the skull, brain and subcortical structures. 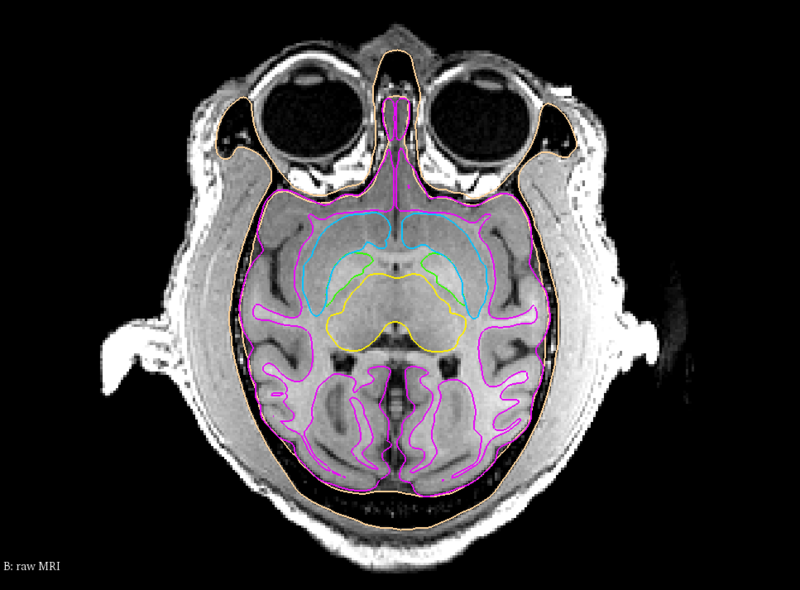 Neostriatum – cyan, Globus Pallidus – green, Thalamus – yellow. Using this information, we can determine the size, location, and travel lengths required for the specific experiment. An existing microdrive design can be used, or a new design can be created from scratch. 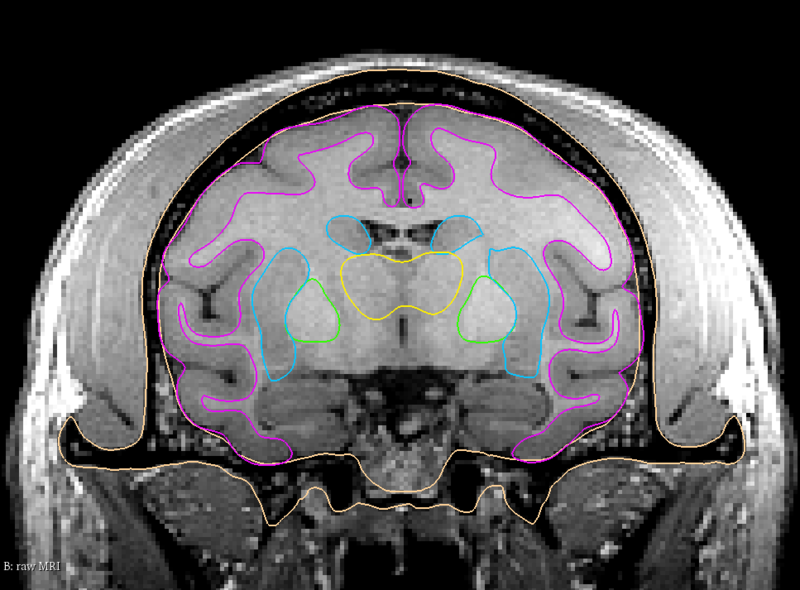 Shown below is an existing design for a Cortico-Striatal-Pallidal-Thalmic System using a 157 channel microdrive with the chamber and electrode outlines superimposed on the models. With the base design complete, we will now send this 3D Slicer file to the user for review. The user is free to update the target outlines, translate and rotate the chamber position, and even place fiducial markers in important locations to help concentrate electrode paths. When the design is finalized, we will add the microdrive, chamber, electrodes, and any other relevant materials to the 3D Slicer file to help with visualization during implantation and recording. We are happy to answer any questions you may have. Please feel free to contact us here.